I've been cleaning out and scanning in papers from my childhood, and because I'm such a packrat, I've found some really great things. If I find anything travel related, I'll post it here. In the summer of 2005, my family and I went to Wyoming. It was honestly one of the best family trips we've taken, and some of my favorite travel memories are from that trip. 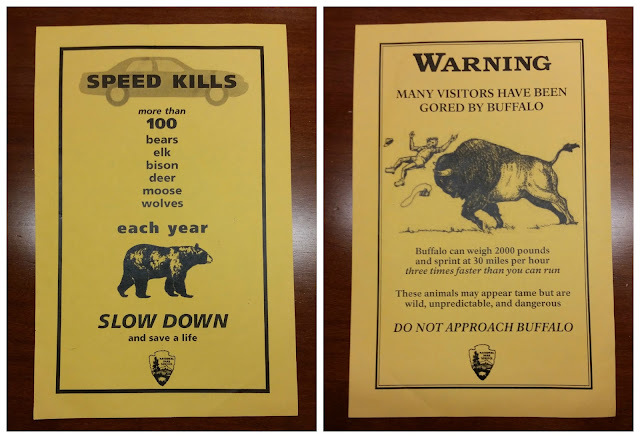 We went to Yellowstone and the Grand Tetons, so I'm not sure which of the parks this is from, but I found this double-sided PSA about wildlife a little funny and clearly liked it enough to hang onto it. We did, coincidentally, see some incredible and majestic bison while we were out there, but no bears. 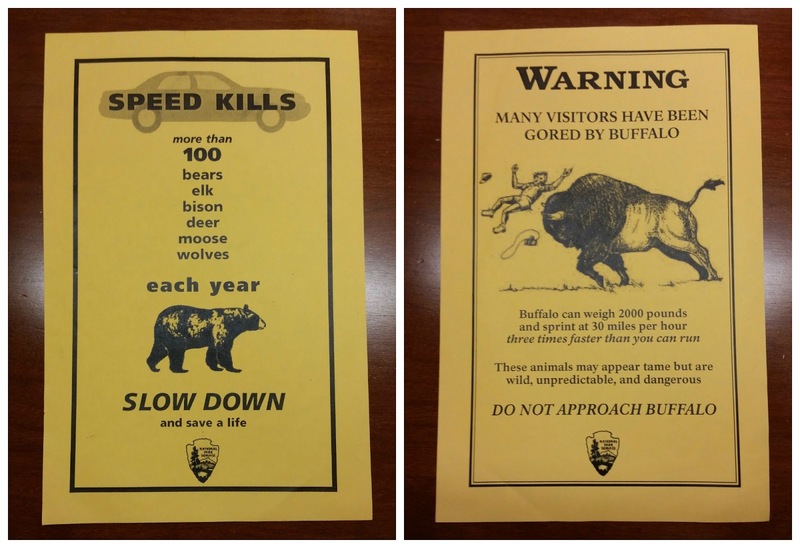 (Which is fine with me - Kate had a pretty scary experience with one while she was in Wyoming!) I'd go back for another vacation there in a heartbeat. I love that you just know this off the top of your head! Probably they should have taught it to us, too, given the million deer that like to bound out at us here.